SELLER IS RETIRING AND IS MOTIVATED TO SELL! 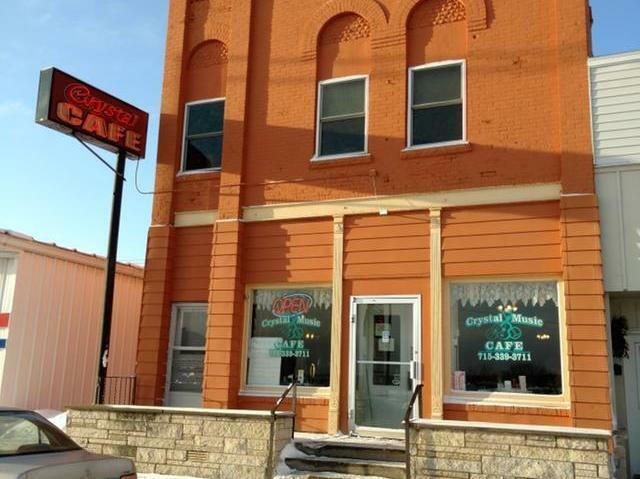 This 2 story historic building offers a PRIME location in the heart of downtown Phillips near the public parking lot, with direct ATV/snowmobile trail access and a location just down the road from the Phillips Chain of Lakes. This building shows its original charm on the outside, has large display windows, and the exterior has recently been painted. The main floor makes great space for office or retail use, or continue its present use as a cafe, with full service kitchen and menu. Upstairs, you&apos;ll love the charming 3 BR, 1 BA rental and the adjoining unfinished space that could be finished for use as an office or efficiency. If you&apos;re looking for a great business opportunity the sellers would consider a lease with an option for the Crystal Music Cafe! Ask for details.